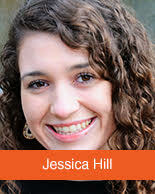 Jessica Hill is a graduate of Jacksonville State University where she earned a Bachelor’s degree in general music with a vocal performance concentration and film minor. 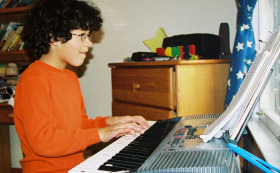 Jessica began studying voice at an early age. She debuted in her first opera, Hansel and Gretel, at the age of eleven. Since then, her passion for music has continued to grow stronger. Over the years, she has performed in ten Jacksonville Opera Theater Productions, including her most recent role as Mabel in Pirates of Penzance. Jessica is proud to be teaching with Play More Music studios. As a voice and piano teacher, she has a deep interest in vocal pedagogy and music literacy. Jessica feels that the first step to creating beautiful music is to understand the instrument you are working with. That instrument can be a piano or your very own body! Jessica feels that performance is also incredibly important to the creative process of music and emphasizes that expression is key to performing. She always encourages students to dive into music history and understand the pieces they are working on. Although Jessica primarily focuses on classical and musical theater styles, in her free time she enjoys performing jazz, R&B, and pop. She enjoys composing her own pieces. Jessica loves being a part of the entertainment industry and also has worked with sound design, lighting, and film. She hopes to share her love for music and performing with every student she teaches.